This series presents relatively short critical accounts of areas of developmental and cell biology where sufficient information has accumulated to allow a considered distillation of the subject. The fine structure of the cells, embryology, morphology, physiology, genetics, biochemistry and biophysics are subjects within the scope of the series. 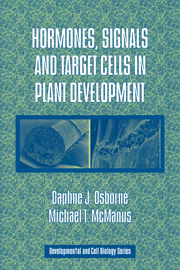 The books are of interest to advanced undergraduates and graduate students and to make an important contribution to teaching cell and developmental biology. At the same time, they should be of value to biologists who, while not working directly in the area of a particular volume's subject matter, wish to keep abreast of developments relative to their particular interests.